This small Button wall hook is shaped like oversized button which gives it a distinct and contemporary look. The Button hook looks just like the kind of button you find will on your shirts and jackets! 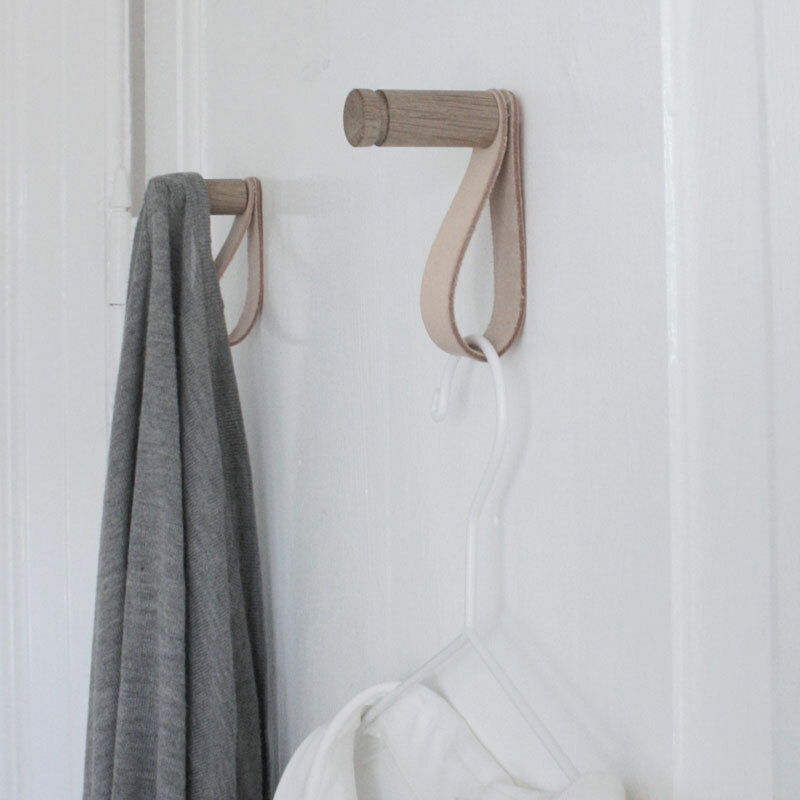 Tip: The small Button Hooks look great as door knobs too! Materials: Mango wood, spray painted and with a leather cross. The Button Hook is easily mounted to the wall with the attached screw fix you will have it up in no time!